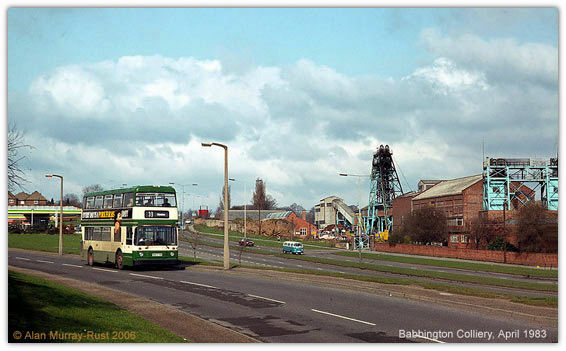 A couple of pictures taken in April 1983 and May 1986 respectively showing Babbington Colliery (Cinderhill), Nottingham. 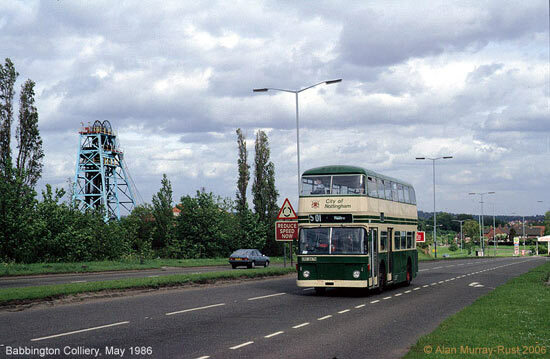 As you can see, they are principally intended to be bus pictures, but the presence of the pit in the background is not accidental; the viewpoints were deliberately chosen. Nevertheless it is extremely frustrating that the fine tandem headgear is not shown complete. If there is one (personal) consolation for the loss of the pit on this site, it is that it is now served by the new Nottingham tram!